I shot this 10 year-old photo (July 2004) with Nikon D70, which is a classic. Among all the digicams ever held in my hands, the the 5MP shooter produced some of the sharpest, and most-satisfying pics. Anyone who tells you megapixels matter most, is clueless (I’m in a good mood and resisted “an idiot”). 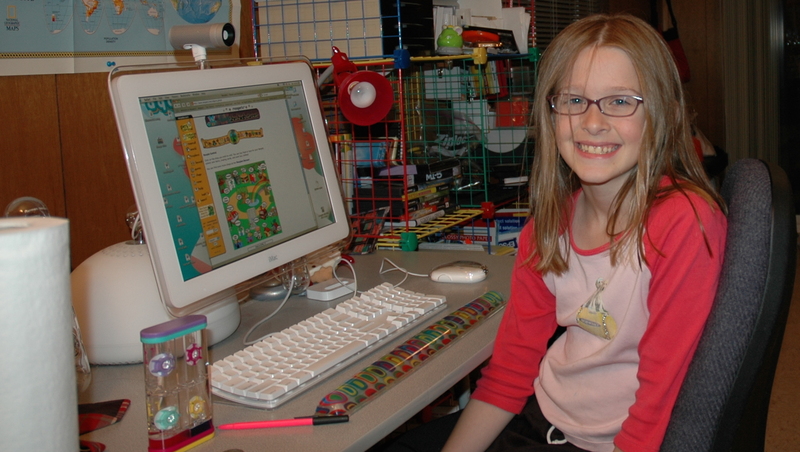 The family had all our computers in my cluttered, basement office, where my daughter sits before her iMac G4 playing NeoPets online.